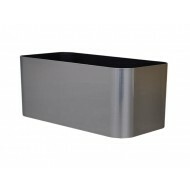 NewPro Container's Vista line of planters comes in a variety of shapes, sizes, and finishes to perfectly fit your interior landscape design. 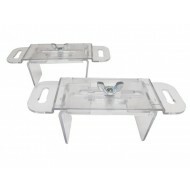 The Vista Collection offers an expensive, rich look at an affordable price. 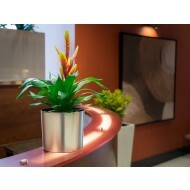 Manufactured from recycled plastic and coated with a foil, Vista pots provide you with the contemporary look of a metallic planter without the drawbacks. 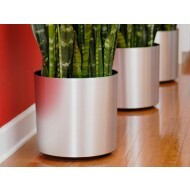 These planters offer a true metallic look that can't be achieved with color-molded or painted fiberglass planters. 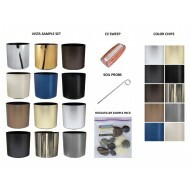 Unlike their metal counterparts, these high quality plastic pots won't dent or rust. Installation is made easy with Vista. 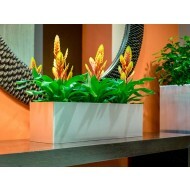 Even the largest plant containers are easily installed because of their lightweight composition. 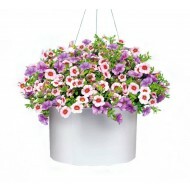 They are also easily transported and stored due to a slight taper that allows the planters to be telescoped inside one another. We care about the environment! Vista containers are made in the United States from 80% recycled poly product.